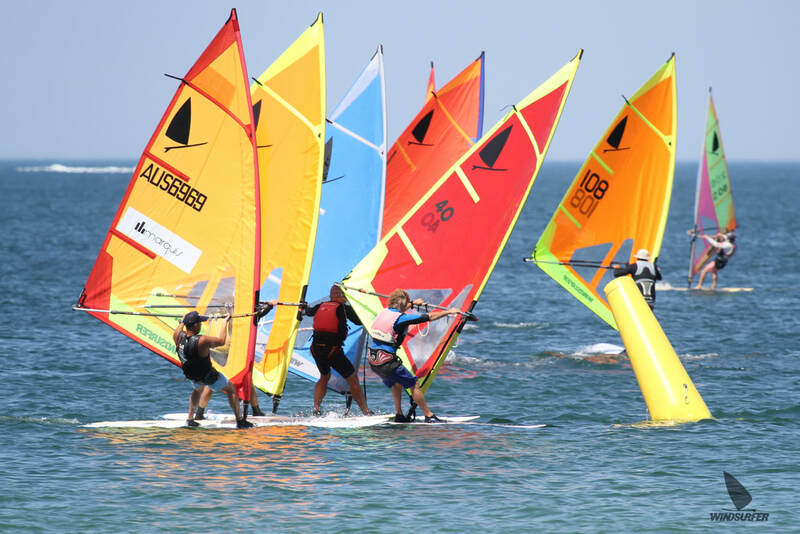 All versions of the Windsurfer are class legal for racing including the Windsurfer 'LT', 'One Design' and 'Original' when sailed with 'as manufacturer supplied' equipment. 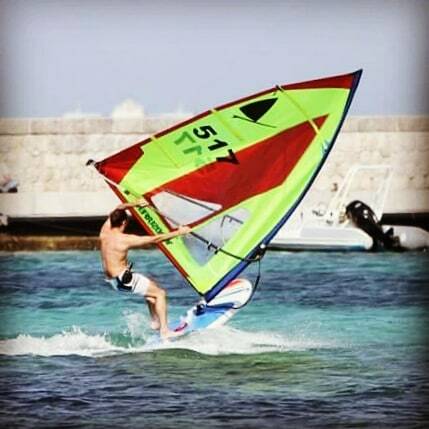 The LT is available from Windsurfer and also from a variety of brands around the world such as Starboard, Exocet and I-99. All use exactly the same hull, rig and components and are all class legal as supplied. 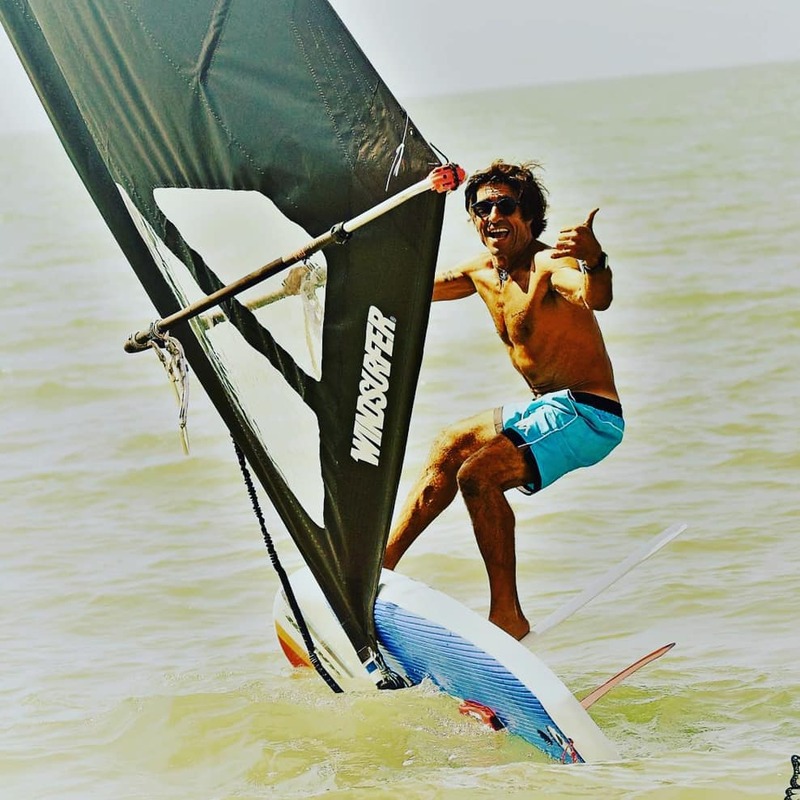 The beauty of the Windsurfer class is its versatility. Four disciplines are part of the Windsurfer racing regime. Traditional, tactical and tight. Windward/Leeward or Triangle courses. 25 minute target times. The most hotly contested discipline. Small heat knockout - first 4 advance through rounds to final. Very short (5-7 minute) course, multiple gybes. Tough stuff but super rewarding. Three minutes of razzle dazzle wowing the judges. Tricks, flips, rail-rides and more in a seamless routine for maximum points. Racing is conducted at clubs throughout Australia, with State and National Championships held annually. International events are scheduled throughout the world, with great sailing and fun in exotic locations the norm. 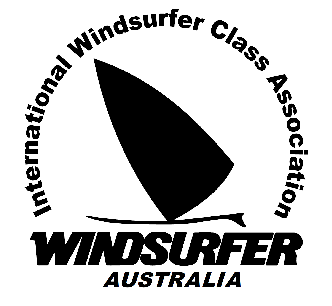 Competing in any sanctioned Class event will require membership of the Windsurfer Class Association. Learn more here. There are more high-tech options out there but don't be fooled - getting the most out of the Windsurfer on the race course is a major challenge. 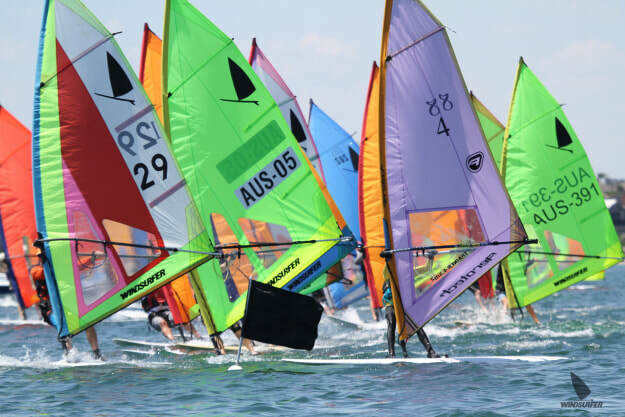 With the biggest one design sailboard fleet in Australia you will be racing some of the best windsurfers going around. 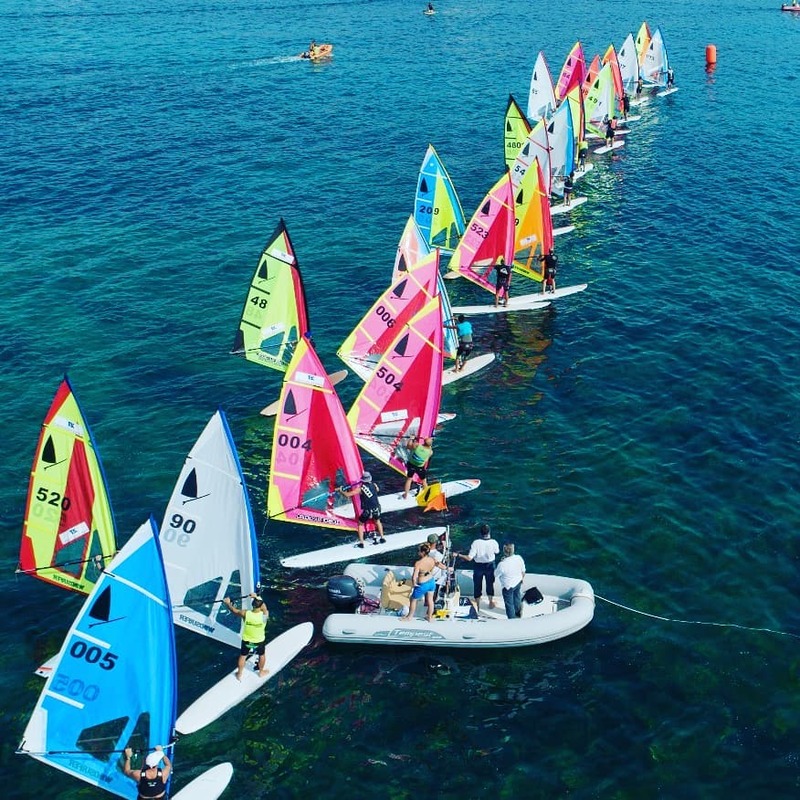 The class has been the breeding ground for every Australian sailboard Olympian and has produced many world champions over the years. In Championship racing the Windsurfer Class races in weight divisions to keep things even and interesting. At the most recent Nationals the lightest competitors was 38 kilos and the heaviest over 100kg! Lighter sailors can use a 4.0 or 4.5 Windsurfer rig, whilst the full size Regatta sail provides plenty of grunt for the rest. Depending on numbers, divisional results (and prizes) are awarded for Women, Juniors and Youth along with Masters, Grand Masters and Legends.